The Sugar Maple Tree is a favorite of the large growing shade trees. Sugar Maples are excellent for lawns, parks, golf courses, and street trees as well as known for their beautiful golden fall color and graceful growing habit. And...don't forget Sugar Maples Trees are tapped for their syrup in the Northeast. Yum! Looking for a long lived shade tree that will grow into a beauty? Then the Sugar Maple, Acer saccharum,​ should be at the top of your list. 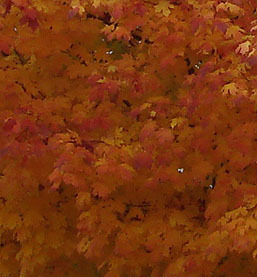 Sugar Maples prefer a well drained, moderately moist, fertile soil but shows a high tolerance to salt and alkali soils. Orders shipping to AZ or CA addresses will be bare rooted and root washed before being prepped for shipping.